ZipServers believes in giving you a choice with your support needs. Some are comfortable managing their own server, while others enjoy around the clock White Glove support. All platforms from our cloud sites to vps / cloud servers on up to dedicated servers are all designed to be scalable. Whether you need a simple RAM upgrade or new processors, our systems can grow as you grow. Managed Support comes with a variety of features such as monitoring your service and respond if failures are received. In addition, Managed Support customers can open tickets 24 hours a day requesting help setting up emails, compiling PHP and installing third party applications. The Internet has changed. Speed has been scientifically proven to help sales conversions as well as rank higher in Google search rankings. Location matters, and with ZipServers you have many locations around the world. ZipServers offers different platforms for different phases of your businesses growth cycle. Whether you are just starting out or been in business for years, we have a platform to fit your needs and future growth. ZipServers offers both Managed Support and Unmanaged Servers. Cloud Site Hosting comes packaged with Managed Support standard. To make VPS / Cloud Servers and Dedicated Servers more affordable, we have offered the ability to add Managed Support. We felt it best to let the client decide their needs and give them the option of Managed Support. *cPanel, Managed Support, and Monitoring are add-ons available during sign up. Excellent white glove support bundled on top of state-of-the-art technology is the name of the game here at ZipServers. However, some of you may be more comfortable managing your own server and do not need White Glove Support. As such, we have created more cost effective packages that save you money. Most clients choose Managed Support though. You may select the option that best suits you while placing your order. What location will my server be in? ZipServers offers dedicated servers out of multiple locations: Amsterdam, Hong Kong, Singapore, Dallas, Seattle, and Washington, D.C. locations can be selected during the order process. Is cPanel or Plesk included or do I have to pay additional for the license? Any package which has cPanel or Plesk listed in the name includes the license with additional fees built in. How do you backup my data? 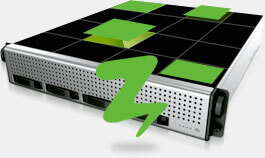 ZipServers offers an innovative backup system we call ZipSafe™ for free on cloud sites and vps / cloud servers. Good practice is to always setup additional backup services such as remote FTP or NAS. ZipSafe™ is only offered as a precaution to our clients and ultimately backup is the responsibility of the client. How many IPs are included? One IP is included with each server by default. Can I order more IPs? Yes, an additional IP is available for $2.00/mo/IP with justification. Do I get root access? Currently we offer Debian, CentOS, Fedora and Ubuntu in their latest versions and in both 32-bit and 64-bit flavors. Do you secure the server? Yes, for servers with a control panel an automated security setup is performed during provisioning. what you need and as your needs grow. This used to be a rule for your local restaurant… not anymore, the closer your server to your customers - the faster the speed, and an increase in sales. Most of our competitors charge for white glove support similar to what we include with every server. Our team is well versed in most OS’s, control panels, and databases. We’ve learned that backups are an afterthought for most of our customers, so we perform them automatically on Cloud Site site and VPS Cloud Servers. Every account includes a full monitoring package from UptimeSpy.com for FREE. Setup your own monitoring through our easy to use control panel.